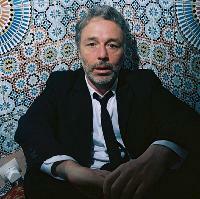 In the summer of 2001 Baxter Dury released his debut single, the "Oscar Brown EP". The single picked up rave reviews, which included &apos;Single of the Week&apos; in NME. It also achieved &apos;Single of the Week&apos; in the Guardian. Here are the latest Baxter Dury mixes uploaded to Soundcloud. Do you promote/manage Baxter Dury? Login to our free Promotion Centre to update these details.